At this years 11th geoforum of central Germany ESRI showed some new developments in their ArcGIS online portfolio. Those were published 23rd of September. Let me please introduce you to some of these features. If you came across the website of ESRI you might have mentioned that current ArcGIS offline or desktop applications are beyond the functional possibilities of the new ArcGIS online framework. One of these was the new multi-directional shadow algorithm which came on stage on the ArcGIS online platform and is now a downloadable function. Of course they will be available with the upcoming ArcGIS pro but still those are cloud services/functions. 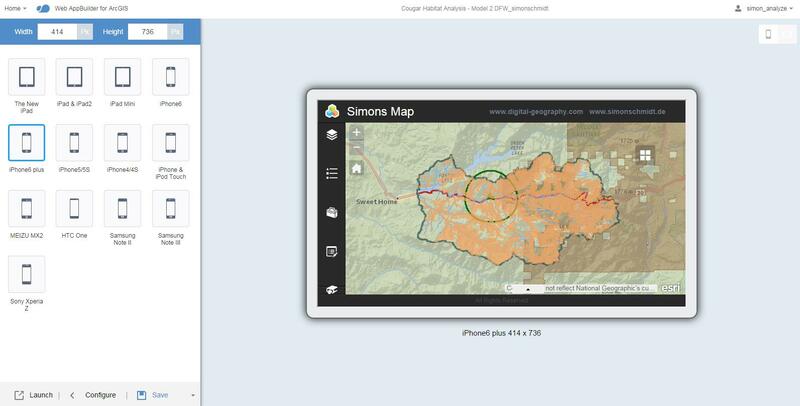 The current MOOC “Going Places with Spatial Analysis” is a very good example for ESRI: Show the users the capabilities of these new cloud GIS systems. You don’t need an ArcGIS running on your pc anymore: no local performance problem, installation issues or license management problems. Furthermore ESRI shows that ArcGIS online is much more than only a pendant to BING, GoogleMaps and other competitors. Even more the number of functions and possibilities which are knwon from standard GIS plattforms and are now usable on a cloud engine is stunning: logical and spatial filtering, enriching data by joins, different buffer algroithms, path calculations and interpolation techniques. 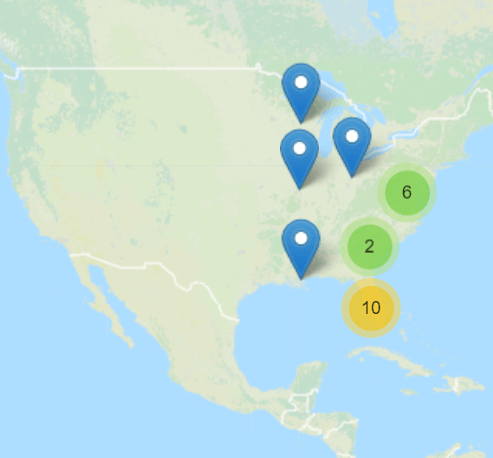 If you’ve analyzed and styled your data the way you like, you can use different templates and basemaps to publish your map as a webmap which you can emebd on your html side or send the link to those who are interested in. 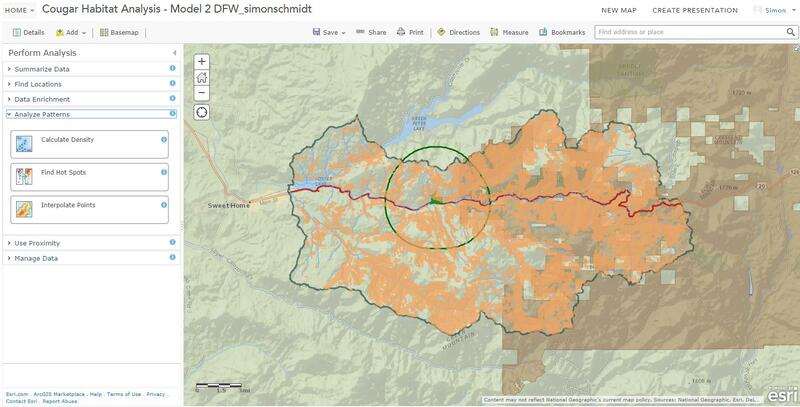 You need just a few clicks and it will definitely look like the one you’ve created with ArcGIS online. No coding required… Yet keep in mind: your data stays in the cloud! 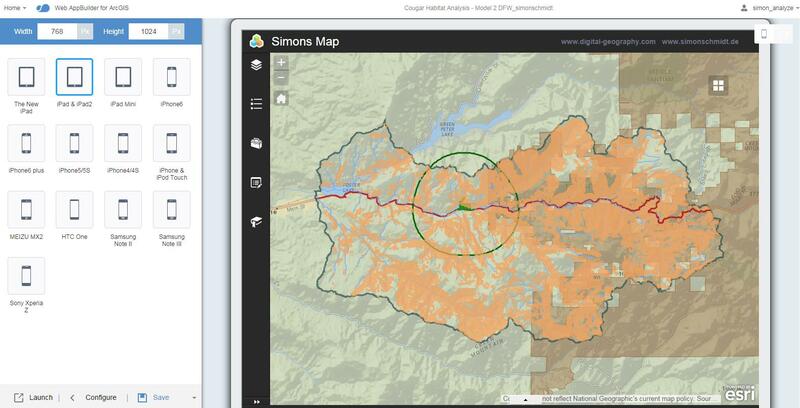 This week ESRI published a so-called Web App Builder as a beta release. You can create an iOS or Android App with this framework in less then 5min (accord. to the ESRI guys) and to distribute it via the app-stores of both platforms including the map service. Once again: No coding required… You get access to the App Builder by having a paid ArcGIS online subscription or a MOOC license. An alternative might be the 30-days evaluation sign-in which also gives full access to the AppBuilder functions. If you also want to test the Web App Builder you just need to press the share button after you’ve created a webmap. On the share tab choose Make A Web Application. There you can choose between Configurable Apps where you can find some templates (like a Compare template) and the Web App Builder (BETA). If you go with the second, you can choose the design of your apo and you will see a preview of your app on different user handhelds like a pad or a smartphone. If the app will be available for public will be part of the app-store regulations. If you wannt to get a deeper insight check here. Or try it for your own and get a trial access!